I've been informed of a new project which will reach its conclusion in the near future. It's a book entitled "Jesus Potter, Harry Christ" by Derek Murphy which examines the mythos of Jesus Christ as a literary figure in contrast to Harry Potter, who has garnered much animosity and fear from Christians. 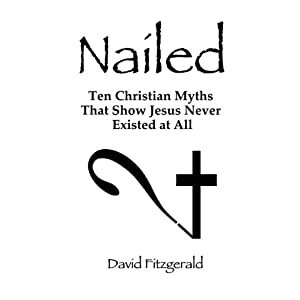 I'm particularly intrigued by this idea in the wake of discovering another book, "Nailed: Ten Christian Myths that Show Jesus Never Existed at All" by David Fitzgerald. The character of Jesus is surrounded by a haze of vague preconceptions, credulity and wishful thinking –- especially when it comes to fulfillment of prophecy and miracles. I'm looking forward to reading both of these books very soon and giving my thoughts on the matter afterward.